Just replacing the appliances, flooring and countertops of your kitchen can make your kitchen to look best. In order to make your kitchen look best and stylish, apart from giving attention to the kitchen appliances, you may also plan for making certain remodeling options in your kitchen. Take care to give attention to your entire kitchen so that your new kitchen will be the one which you dreamed for. Giving importance to kitchen cabinets can make a wonderful impact on the overall design of your kitchen. The look and style of your kitchen can be greatly enhanced with classic, gold cabinet hardware. By installation of new cabinet hardware and cabinet door handles, you can add modern twist to your kitchen. You can add more creativity and interesting stylish twist by changing the kitchen floor design, kitchen counter, and kitchen wall space. Professional modeled, stainless steel and fresh new colored kitchen appliances add more stylish twist to your kitchen. Kitchen floors made of cork, laminate, ceramic tile, and stone are more preferred by fashionable and elegant home owners. Solid wood cabinets and granite countertops will never go out of style and are always the best choice for fashion and elegancy. Walk-in pantries, built-in work desks, and kitchen storage with copious storage space can make dramatic change to your kitchen. 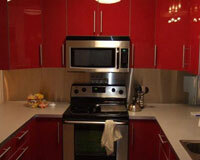 You can always remodel and improve your kitchen with reliable and professional services. Whether you need a complete start-to-finish design build or already have plans in your mind, the home remodeling experts can help you realize your home and kitchen remodeling dreams. Imagine your bathroom transformed. That’s what bathroom remodeling is all about. 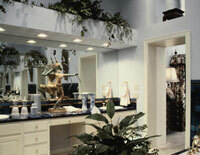 Recently, bathrooms have surpassed kitchens in home remodeling popularity and trends. This is not surprising when you consider the bathroom - once the most under-appreciated room of the house - has the potential to become the most luxurious and lavish room you can imagine. As a homeowner, Understanding your needs, combined with quality products and craftsmanship will most certainly result in a beautiful bathroom. Have the bathroom you have always dreamed of. Copyright © 2010 1st General Contractors. All rights reserved.